My surprise when I had a skim through the menu, realising that this wasn’t a wrap/salad/sandwich kind of place. After finishing a shift at Ryerson with workmates, we were looking forward to stuffing out faces at Five Guys – but took a last minute turn to Salad King since we had a heavy lunch, and this would be a rather, healthier option. 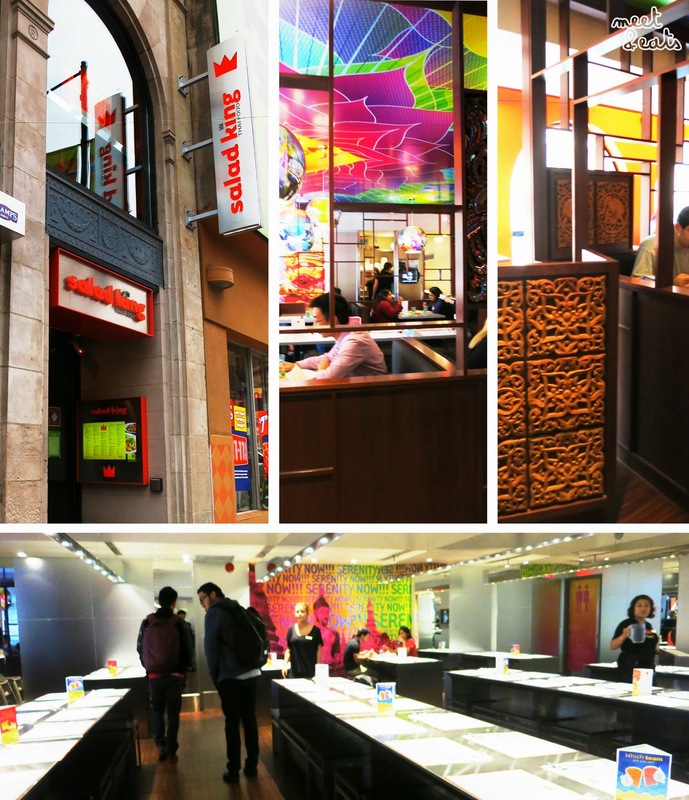 It was a short walk across the street from Ryerson, down Yonge Street and up a staircase. Salad King was on the second level and very spacious. I can see this place being incredibly loud and filled with students during the lunchtimes. The decor was all very bright with vibrant artwork plastered on the walls. We had menus for placemats. I have heard a lot about Salad King’s ‘secret menu’ – which I kind of find ridiculous, just put it on the dang menu! Super sweet with a hardly-there bitter taste. Cabbage, bean sprout, carrot, bean vermicelli, black fungus, bamboo shoot, wrapped in spring roll shell (made from wheat), deep fried, served with sweet and sour sauce. Crispy is right, but they were not very generous with the filling, more mush and strands of veggies than anything. Green mango, tomato, lettuce, carrot, shallot and basil with Thai dressing made from fish sauce, lime juice, sugar and peanut. 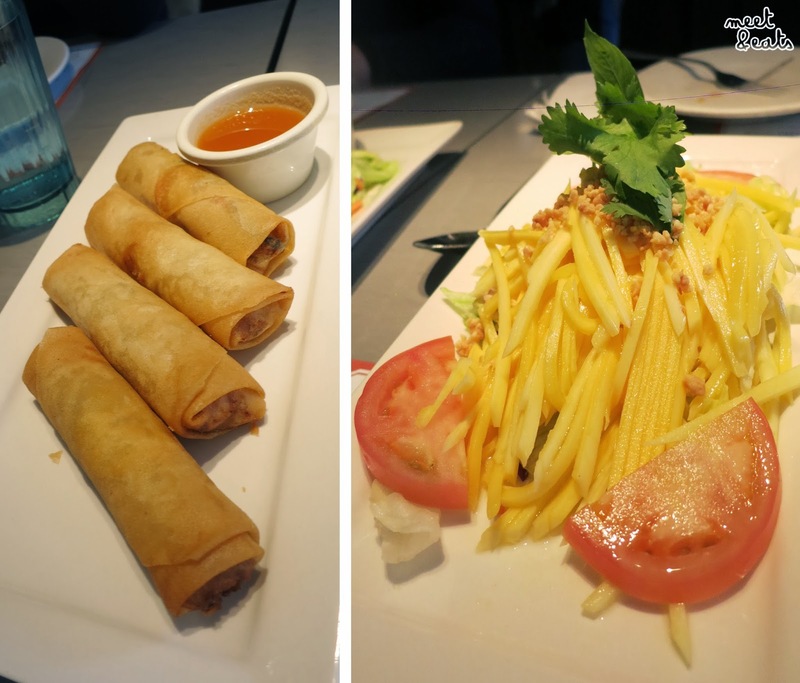 No surprises here – sweet shredded mango with fish sauce, I would like to try the Papaya for next time! Grilled beef on a skewer with peanut dipping sauce. Grilled chicken on a skewer with peanut dipping sauce. 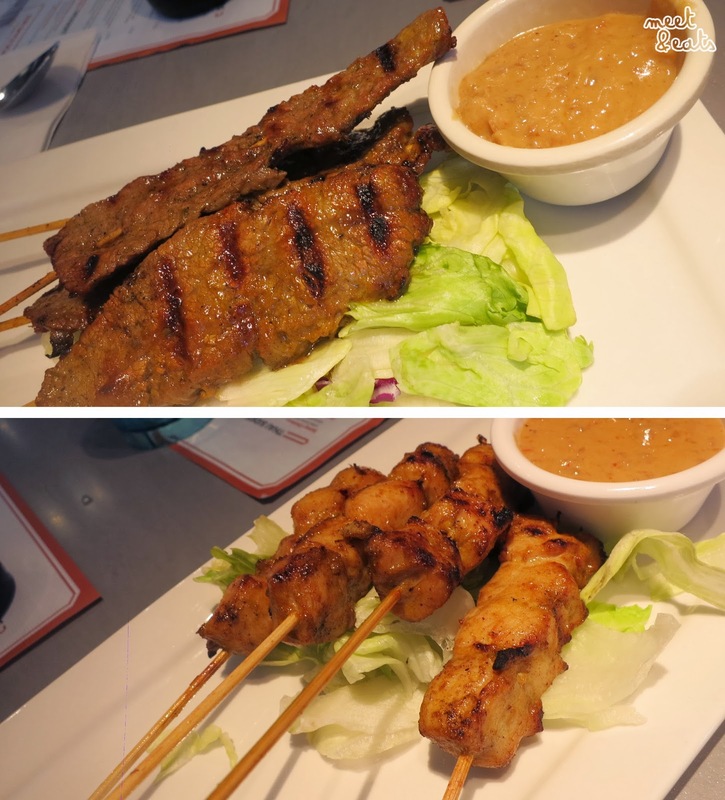 You could not go wrong with either of these two, the Satay Beef and Chicken were both juicy and paired so nicely with the tastiest peanut sauce I’ve had! I would definitely order the Satay Chicken one for next time. It was a nice chill spot, for an hour and a half – we were still full from our earlier meals, so the appetizers and drinks were more than sufficient for us! Everything on the menu is well priced and worth it. Our server for the evening was super attentive and the place got loud fairly quickly. 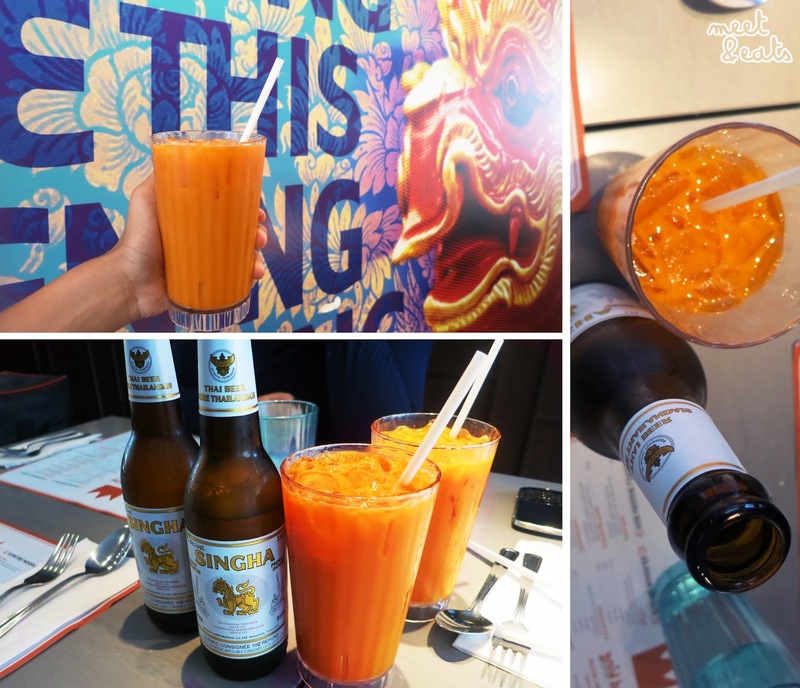 I will definitely be coming back here in the future to try out their ‘Secret Menu’ dish and Papaya Salad!